I first tasted the Strange Craft Brewing “Cherry Kriek” back when the brewery, down there in the shadowy nether-regions of semi-industrial Denver, was just called “Strange Brewing”. This seems like aeons ago, before they were besieged by some ignorant jackass home-brewing supply owner from Massachusetts who claimed – in one of the most irrational and self-important pieces of threatened litigation that’s ever arisen in the American Craft Beer community – that Strange Brewing, a small craft brewery that was, at the time, even obscure in Denver, was trading off his even more obscure company’s “massive reputation”. Setting aside for a moment the FACT that both that knucklehead and Strange Brewing stole the name from the Rick Moranis/Dave Thomas movie and/or the old Cream song, it takes a certain kind of over-inflatable ego to presume that your Massachusetts brewing supply company that has maybe two dozen customers anywhere west of the Mississippi (we DO have brewing supply places out West, folks) has any “reputation” off which one could trade. But it became a cause célèbre for a LOT of American craft fans and blew up so badly on the silly twit in Mass that eventually he was forced to settle for the real Strange Brewing being called “Strange CRAFT BEER Company“, when he had originally insisted that they drop “Strange” altogether. The real Strange got a more distinctive name and the itchy type in MA got a wave of hatred that would peel the paint off a Shelby Mustang. Sometimes life does work out just right. That preamble was to say that, the first time I tasted Cherry Kriek, at their well-hidden, no-frills location on Zuni Street, (there’s a Denver neighborhood called “Cherry Creek”, so the name accurately describes the Americanized Belgian fruit-beer style AND makes a Denver connection) the brewery was going through a bit of turmoil, so any shortcomings I perceived then had to be revisited after all the dust had settled. BUT, I’ve been so universally disappointed with most American fruit beers that I hesitated to even taste it. It was a brutally hot day, so I finally caved, on the assumption that something with cherries would be refreshing. It was that. It just wasn’t all that good. But, since then, with legalities long-since tucked away, I retasted Cherry Kriek, out of a bottle that our son shipped up to us for Christmas. In the interim, it took a Gold Medal from The World Beer Cup, so obviously something had changed from that original, somewhat under-realized effort. 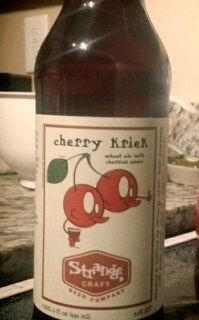 Let me just say this plainly: Strange Craft Beer Company “Cherry Kriek” is a GLORIOUS ale. Freakin’ mouth-watering, soulful, deeply satisfying, beautifully made, alarmingly easy to drink – and it takes zero advanced beer acumen to enjoy it. 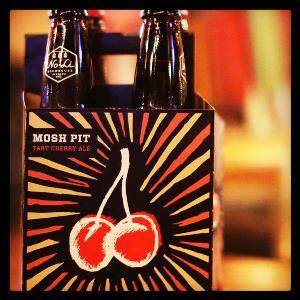 The cherry flavors explode upon the first millisecond of the first sip and just keep expanding as the beer gradually warms. It reminds me – VERY remotely – of the brilliant Unibroue “Quelque Chose“, in its all-out commitment to delivering mega-tonnage of cherries. It’s considerably less sweet than its Canadian cousin, which is, for me, what puts it smack in the wheelhouse of all those, like me, who are wary of infused ales. The third ale I tasted this weekend was nothing short of revelatory. How Jamie Floyd, brewmaster/partner in Eugene, Oregon’s splendid Ninkasi Brewing, met Jason Oliver, brewmaster for Devil’s Backbone, hasn’t been explained but I suspect it had something to do with GABF, where Jamie was a lecturer/judge and Jason was renting U-Haul trailers to cart away all the medals DB was winning. These two formidable brewing minds got together to produce what I think is one of the two or three best ales I’ve tasted in the past five years. Ninkasi/Devil’s Backbone “The Devil Went Down To Oregon” is a masterpiece; a hedonistic, exquisitely-crafted Dark Rye Ale that reminds me strongly of my all-time favorite beer, Deschutes “Jubelale”. 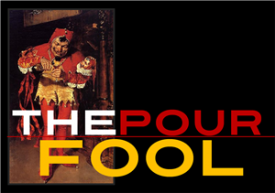 Stylistically, the two beers are not really all that similar but in net effect – the striking richness and hoppy edge and luminous malts and just plain ol’ deliciousness – they’re spiritual twins. It’s nice to Ninkasi & Devil’s Backbone make a beer that highlights different malt characteristics so well, so many brewers are making way out of balance RYE IPA’s with a “just add rye” mentality versus this beer where they clearly deconstructed and reconstructed a beer style to make it fantastic.